﻿Both editions of Wild in the City neatly bracket the Portland metropolitan region's efforts to integrate nature into the city. 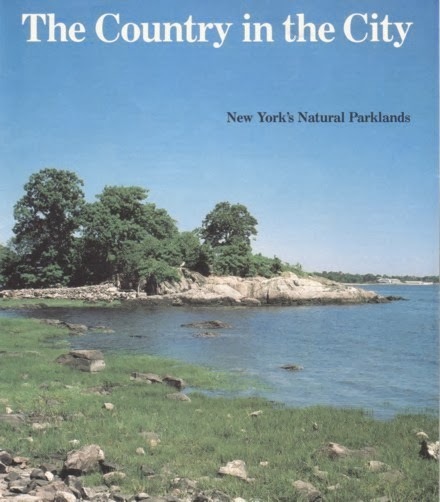 The first edition celebrated urban greenspace planning from the late 1980s to the first wave of regional natural area acquisitions, while the region debated public policy regarding protection of nature in the city. Wild in the City, Exploring The Intertwine picks up where the wisdom of protecting nature in the city is no longer debatable and that integrating nature into the urban fabric is considered essential to creating livable, healthy and economically successful cities and regions. This blog entry traces the trajectory of urban greenspace planning in our region, from John Charles Olmsted's 1903 master plan for Portland Park to our newest regional initiative, The Intertwine. 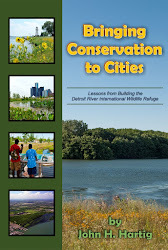 Included are some lessons we've learned along the way that may be helpful for readers who may just be launching their own urban nature movement. No Room for Nature in the City? As M J Cody noted last week, Portland Audubon's Urban Naturalist program was initially questioned by some, including other mainstream conservation organizations and agencies. 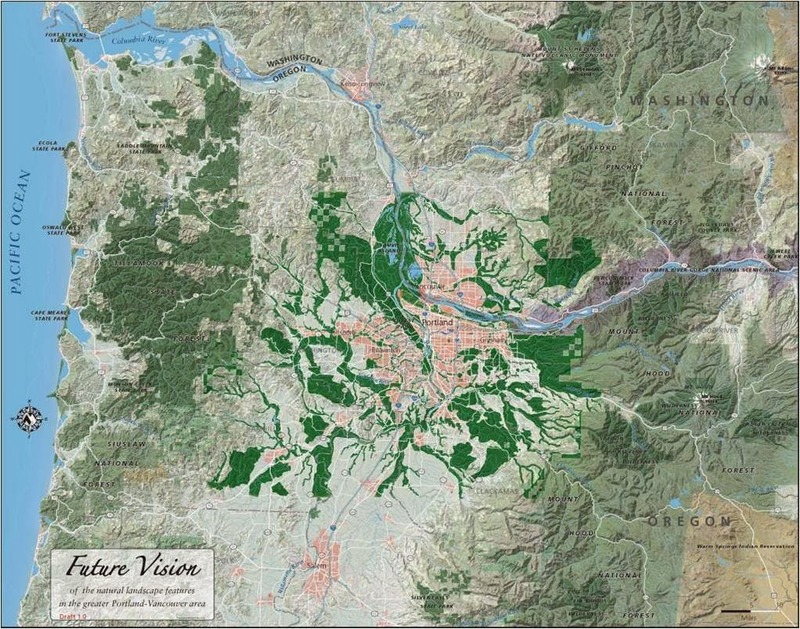 Allocating scarce resources to protecting "trashed" urban habitat was, they argued, problematic. Likewise, many otherwise progressive urban planners asserted there was "no room" for nature in the modern, "new urbanist" city. Some from the Congress for New Urbanism asserted that protecting "too much" greenspace or park land in cities was antithetical to good urban planning. It was clear, we had our work cut out for us. It's taken thirty-odd years to reach the tipping point where urban nature is not considered an oxymoron. The new normal in many regions across the country, and internationally, is to integrate urban forest canopy, floodplains and wetlands, parks, and natural areas into greening and re-greening projects aimed at creating more livable and ecologically sustainable cities. ﻿ Fortunately, even in the 1980s there were a few models we could look to for advice and inspiration. In 1984, I had the good fortune to meet the London Ecology Unit's Dr. David Goode at an urban wildlife conference in Chevy Chase, Maryland. Years later Goode addressed Portland's City Club. Dr. Goode's presentation on nature conservation in London's twelve boroughs was so powerful that civic leaders we'd been unsuccessfully courting for more than a decade urged us get on with similar work in Portland. 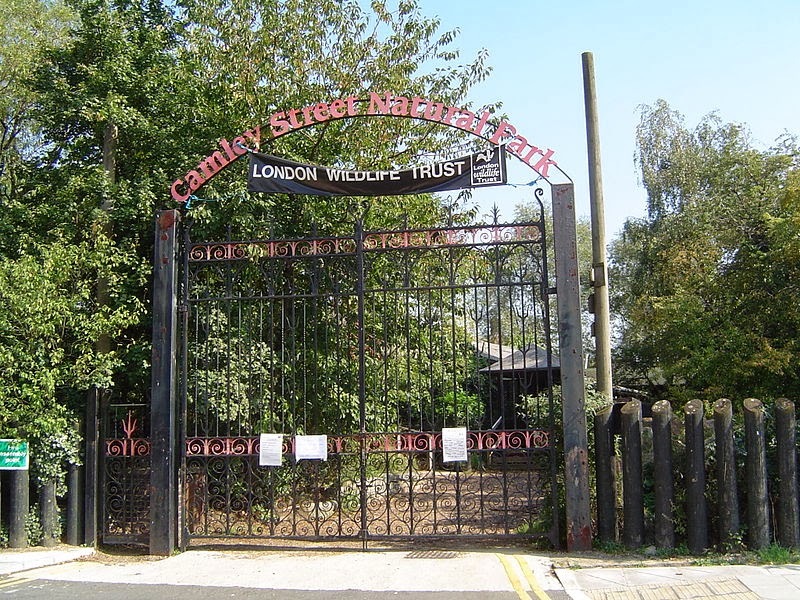 ﻿﻿ The highlight of Goode's presentation was the creation of the London Wildlife Trust's Camley Street Natural Park at Kings Cross, adjacent to the Eurostar St Pancras rail station . 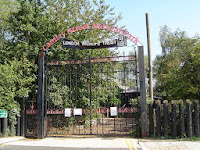 Camley, once a garbage heap along the Regent's Canal, was restored to a small, verdant wetland preserve and nature center next to the Regent's Canal and nearby low income housing---the only patch of green for nature play for nearby low income children. The Camley Street story launched early restoration efforts in Portland. ﻿Lesson learned-----the power of the outside expert. And if they have an English accent, so much the better! ﻿ A second inspiration came from New York City Park's Natural Resource Group-------affectionately known as the "Nergs." They are responsible for managing more than 7,000 acres of fish and wildlife habitat spread across the city's five boroughs. Their publication, Country in the City, inspired a series of Country In The City symposia we co-hosted with Portland State University's Geography Department in the late 1980s and early 1990s. Our 1990 Country In The City, Restoration and Management of Urban Stream and River Corridors, was another watershed event for us, drawing 700 experts and citizen activists from around the U. S to share research and on-the-ground case studies involving the then novel topics of green infrastructure and multi-objective management. The national Association of State Wetland Managers (ASWM) and Association of State Floodplain Managers, and US EPA co-sponsored the symposium which attracted specialists in the field of urban stream restoration, including A. L. Riley of Berkeley, CA who founded California's Urban Creek Council; stream restorationist Robin Sortir, and Joan Florscheim of Phil Williams Associates. Keynote speakers included Goode; Jon Kusler, Rud Platt, Tony Hiss, author of Experience of Place; and Charles Little, whose Greeways for America. They all helped catalyze, and continue to lead, a national movement around green infrastructure and urban nature across the country and their influence is still felt in the Portland metropolitan region. Lesson learned------hosting symposia and conferences, while energy intensive, is a great strategy to build political and grassroots support and goes a long way in establishing long-term relationships with researchers and allies. Pub owner Bud Clark---who had come out of nowhere to beat an entrenched incumbent city councilor in Portland's mayoral race in 1985----had just given a speech in the downtown Hilton Hotel. As an avid duck hunter and canoeist he referenced Great Blue Herons numerous times during his speech. 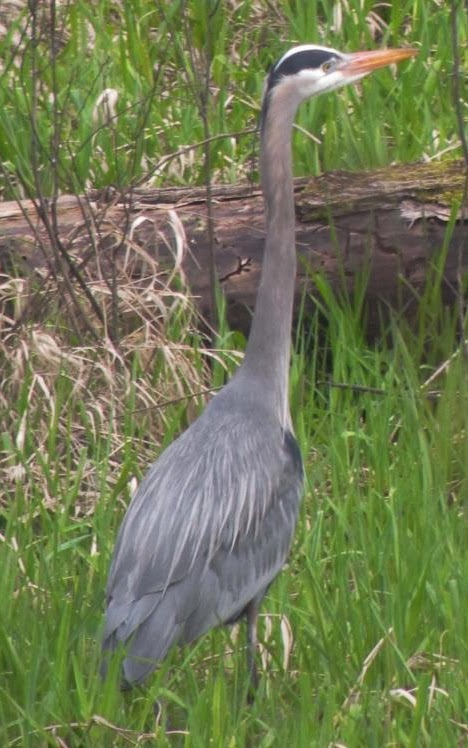 I literally grabbed him as he walked out of the hotel and suggested that the heron should be proclaimed as Portland's official city bird. After a couple of his signature "whoop, whoops! ", two weeks later Portland had an official city bird. 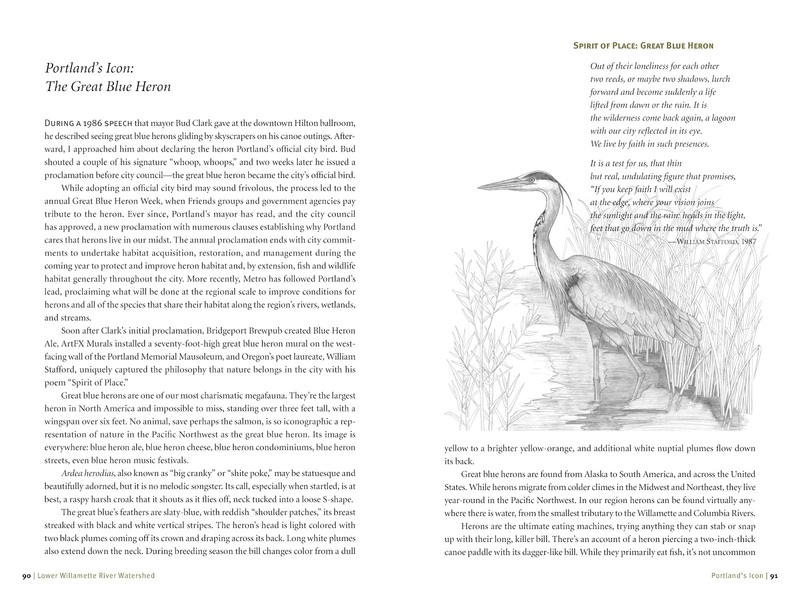 Serendipitously, while a friend and I were sitting in a local brewpub the afternoon the Great Blue Heron was named our city bird, the brewmaster happened by and asked what we were up to. After recounting our city council meeting he informed us he'd just brewed a new-----as-yet-unnamed------ ale. 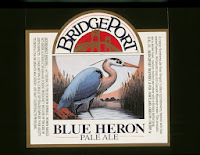 That evening, and to this day, we quaff what is still one if Bridgeport BrewPub's signature beers, Blue Heron Ale. Another trivial fact? Not really. 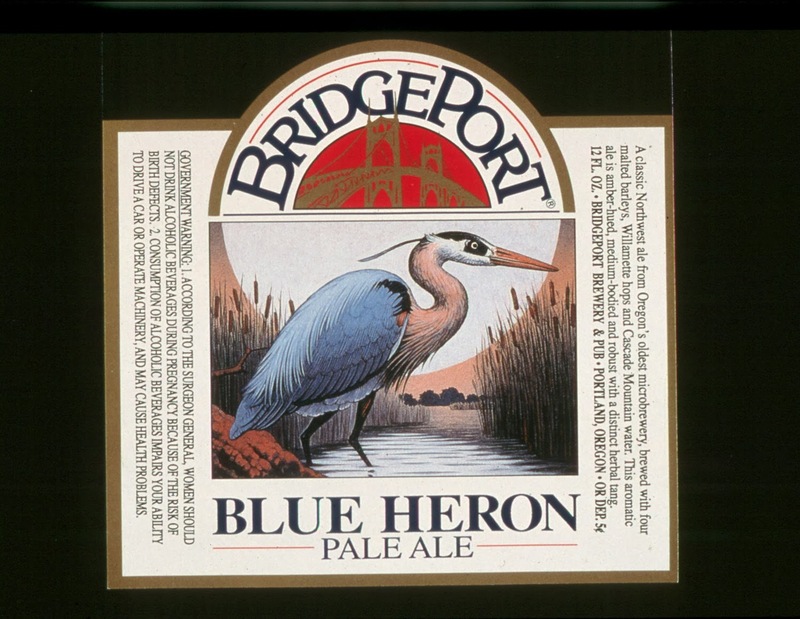 Bridgeport became the gathering place for the next two decades where many a plan was hatched---and more importantly important relationships were formed---over pitchers of Blue Heron Ale. Lesson learned------make time for celebrating your successes, preferably over a great ale! ﻿As the coalition of park providers, urban habitat, trail and park advocates, and progressive elected leaders in the Portland region launched the Metropolitan Greenspaces Initiative we badly needed an on-the-ground example of inner urban and large landscape protection and management, a model we might emulate in the Portland-Vancouver region. We set up two visits to the East Bay Regional Park District, which had just passed a $225 million bond measure to add to their already significant natural system Janet Cobb, who had directed their successful bond campaign, arranged for two days of field tours as well as visits with numerous staff. Cobb later traveled to Portland as well, providing us with invaluable advice on running a regional open space bond measure. Those trips and Cobb's assistance ramped up the political will to create our own regional natural area initiative. Lesson learned------ Elected officials and policy makers are loath to be a pioneer, particularly in a down economy. Use successful models to emulate and generate political will. One of our biggest hurdles to building the political will and agency support for protecting restoring and managing urban wildlife habitat was the entrenched bias against allegedly "trashed" urban natural resources. 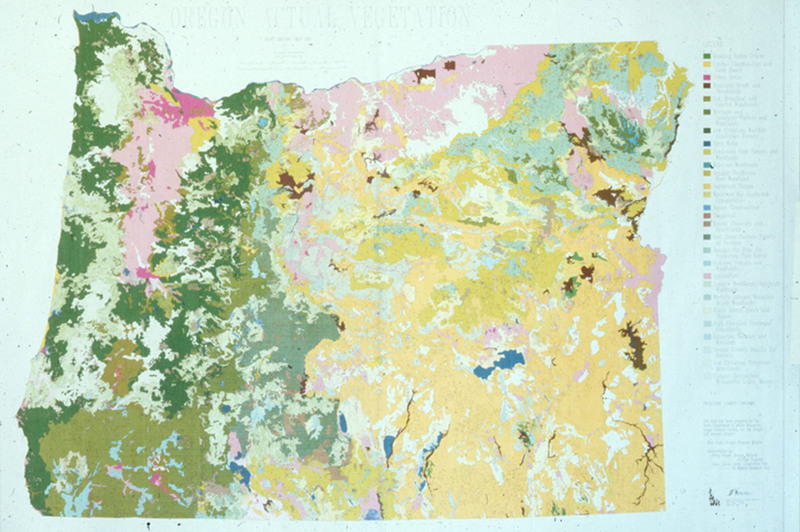 A prime example was an early natural heritage project that mapped the states of Oregon, Washington, and Idaho. 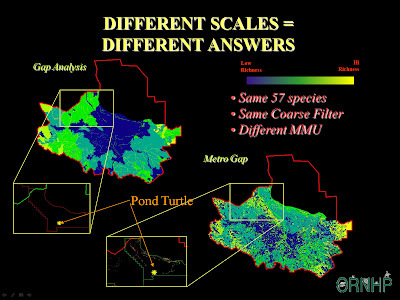 When mapped as such a large scale the pixel size was so great that the entire Portland metropolitan region was interpreted as "urban", meaning there was little if any biodiversity in the urban landscape. Fortunately one of our early partners, the Oregon office of U S Fish and Wildlife, contracted with the Oregon Natural Heritage Database to remap the urban growth boundary which surrounds the 24 cities and three counties within the Portland region. At that finer scale what had appeared as a monotypic "urban" landscape revealed significant areas of high species richness right into the center of the urbanized environment. That early mapping effort justified future work by our regional government, Metro, and others in the Portland-Vancouver region, on both sides of the Columbia River. Lesson learned---------People love maps. The first thing they do is look for their house. Your best friend is the nearest GIS whiz. Scale is everything! 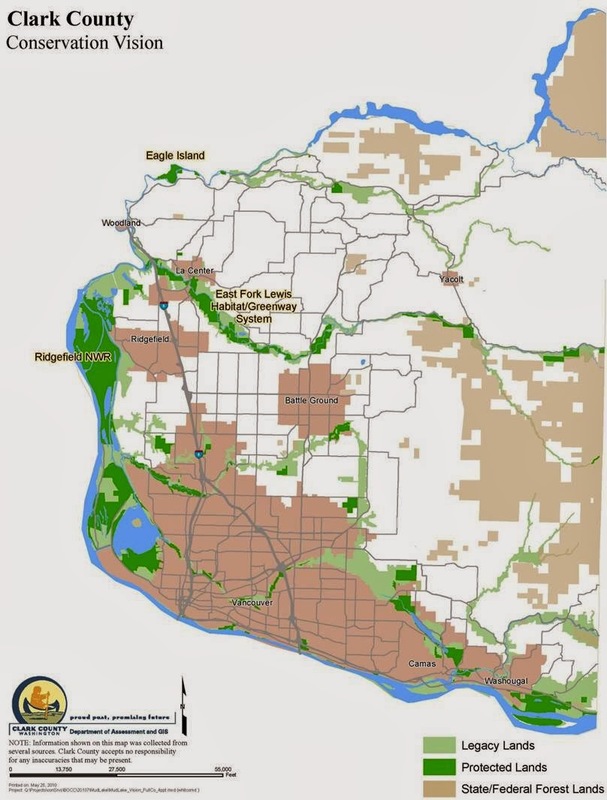 Over the course of the next sixteen years Metro Council adopted a bi-state regional Metropolitan Greenspaces Master Plan for natural areas and parks, which included Clark County Washington across the Columbia River. The Plan called for "a bi-state, cooperative approach to establish an interconnected system of natural areas, open space, trails and greenways for wildlife and people throughout the four-country metropolitan area." 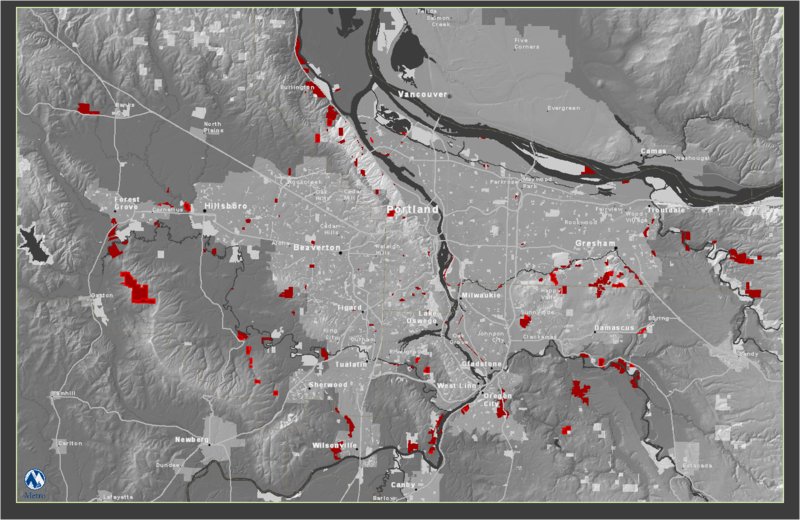 In 1995 and 2006 Metro, working with local park providers and grass roots organizations like Audubon Society of Portland, Urban Greenspaces Institute, Trust for Public Land and hundreds of "friends" groups, passed two bond measures totaling more than $360 million with which the regional government has purchased more than 12,000 acres and protected more than 75 miles of stream corridors, and constructed many miles of the regional trail network. Local park providers received 25% of the bonds to acquire their own high priority fish and wildlife habitat. Similar acquisitions and trail building was realized across the Columbia River in Vancouver and Clark County. After the passage of the region's second bond measure in 2006 it was obvious, especially to those of us who had worked on the 1992 Metropolitan Greenspaces Master Plan and both regional bond measures, that to achieve the long range vision of an interconnected bi-state system of parks, trails, and natural areas we were going to have to ramp up, and institutionalize the effort at every level, from the all-volunteer friends organizations to the bi-state region. We knew we had move from mounting a series of "one offs" to a sustained level of engagement, to achieve the same level of collaboration, marketing and branding that led to Chicago Wilderness's success. 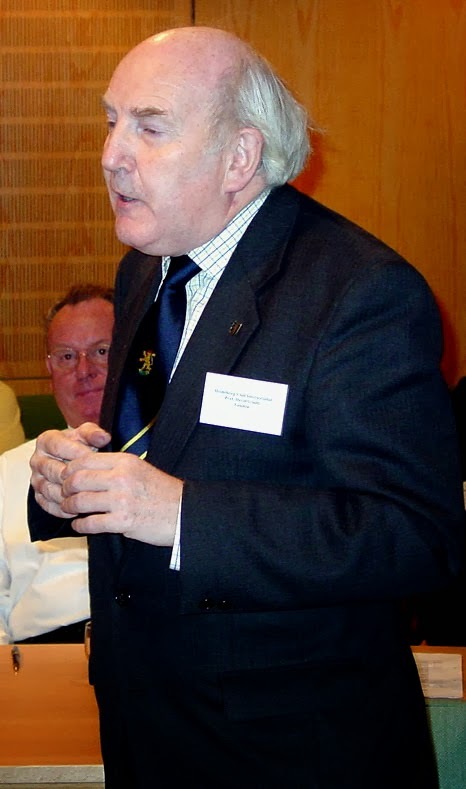 In 2007 Metro Council President David Bragdon, who now directs New York Mayor Bloomberg's Office of Long Term Planning and Sustainability invited Chicago Mayor Richard Daley for what might be considered the urban greenspaces equivalent of a SmackDown between Chicago and Portland. Who, they challenged one another, would preside over the greenest city in America? 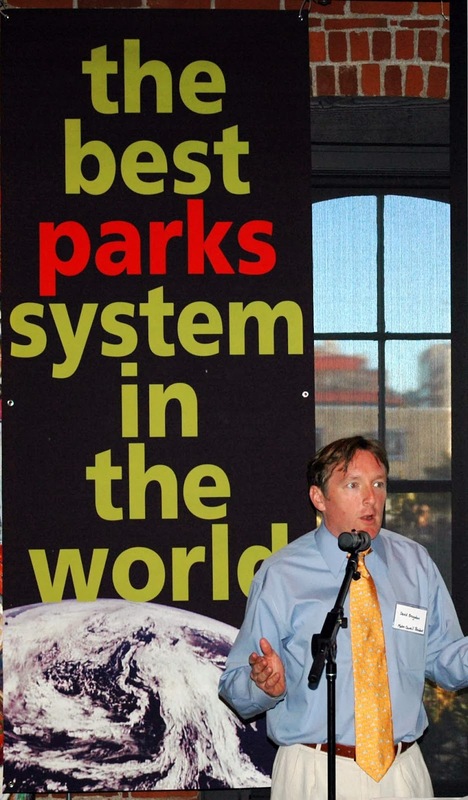 Shortly afterwards, Bragdon announced-----at Bridgeport BrewPub over pints of Blue Heron Ale-----that his final two years in office launching the creation of the "world's greatest park system" and the coalition that would make that a reality would be his legacy at Metro. With the enthusiastic support of the entire regional Council, Metro incubated what over the next five years would become an independent, nonprofit organization, The Intertwine Alliance. The Alliance is dedicated to creating The Intertwine----a world class system of parks, trails, and natural areas for the Portland, Oregon and Vancouver, Washington metropolitan region. 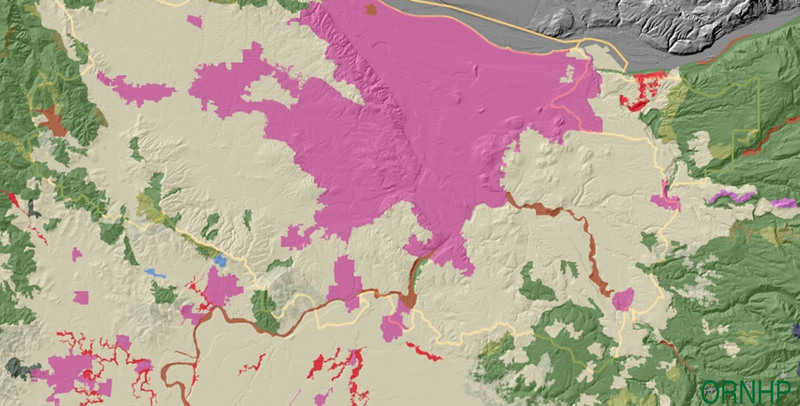 The Alliance's goals are to protect the region's biodiversity and integrate parks, trails, and natural areas across the urban and rural landscapes in a 3,000 square mile area encompassing southwest Washington and northwest Oregon. The Intertwine Alliance, is a coalition of federal, state, local and regional government agencies, nonprofit organizations, and for the first time in our region, health organizations like ODS and Kaiser Permanente and outdoor wear businesses like Keen Footwear and Columbia Sportswear. 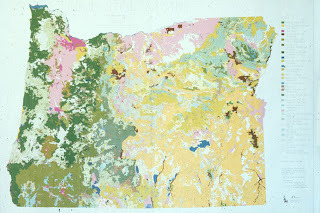 Where urban planners in the early 1980s questioned the wisdom and validity of integrating nature in the city, today Portland's Buerau of Planning and Sustainability's new Portland Plan calls for the city to work actively with The Intertwine Alliance to ensure the region’s network of parks trails and natural areas are completed and maintained. It also recognizes the need to help Portlanders connect with nature through land acquisition, restoration, watershed health, and encouraging active transportation, and conservation education. Portland's Sustainability Institute recently produced a video, "We Build Green Cities" that for the first time integrates green building objectives with the protection of fish and wildlife habitat. We've come a long way since 1980. What goes around, comes around. Three years ago, in concert with our colleagues at Chicago Wilderness, The Intertwine Alliance joined with similar groups around the country to launch the Metropolitan Greenspaces Alliance (MGA) including Houston Wilderness, Chicago Wilderness, Cleveland's Lake Erie Allegheny Partnership for Biodiversity, Milwaukee's SweetWater, Los Angeles' Amigos De Los Rios, and the San Francisco Bay's Open Space Alliance. The U S Forest Service's Vibrant Cities--Urban Forests initiative brought urban ecologists and urban forest canopy experts from around the country in 2011 to develop a series of thirteen recommendations for how the Forest Service and other federal agencies might direct their resources to achieve their missions in metropolitan regions across the United States. The final report, Vibrant Cities & Urban Forests included, among its thirteen recommendations the following, to "assist in the creation of and provide support for metropolitan alliances within every metropolitan region that will develop comprehensive, multi-jurisdictional Urban Regional Natural Resource Plans." *U S Fish and Wildlife Service former regional director, Marv Plenert and his staff, Russ Peterson, Bob Fields, Pat Wright, and Dennis Peters---all since retired----deserve a huge debt of gratitude. More recently, State Supervisor Paul Henson and his staffer Jennifer Thompson and Regional Director Robyn Thorson have continued USFWS's support of The Intertwine Alliance. Special thanks to Nancy Pollot for her encouragement and posting our blogs. Next week's blog will focus on "living with urban wildlife." What happens when we succeed beyond our wildest dreams in integrating the built and the natural when we invite wildlfie, quite literally, into our backyards. How do we co-exist with urban wildlife? 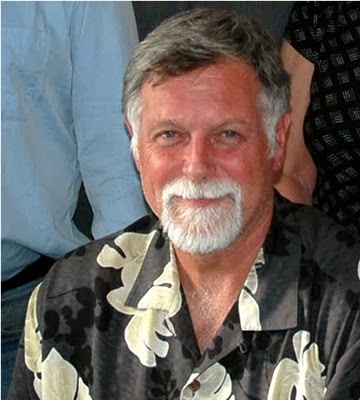 Bob Sallinger, Conservation Director, Audubon Society of Portland, will share his perspectives on living in harmony with Wild in the City. fantastic history lesson, in a good way. we too often forget where we came from and what worked to get us where we are. How are you thinking about sharing this with new activists/community leaders? I see in the bike world that there is little knowledge of the "world before" and the work it took to get where we are today, leading to a repeat of errors and/or complacency. as a follow up: How about some lessons about what "didn't work" for people thinking of doing similar work? Great work. Greenspaces Program history spans 4 decades! Tour for Sen. Haffield was key in starting the Tualatin River National Wildlife Refuge. Help us plan a celebratory event for the 25th Anniversary of the Greenspaces Program in late April 2013. Rex, in your capacity as citizen activist and elected leader, you know there are many things we might have done differently, better, more efficiently! Great suggestion------but I'd like to throw that suggestion out to the broader America's Wild Read community as well....and to others in our region who participated in the heavy lifting. One of the byproducts of all of those years of work, which I think should not be undervalued, is the “social capital” that has been created. 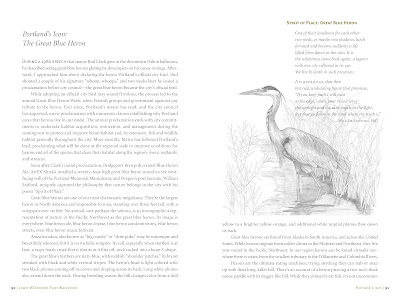 The working relationships that have been forged among parks managers, conservation professionals, elected officials, the business community, and other civic leaders over many decades (some, as Mike notes, over pints of Blue Heron Ale) are an invisible but incredibly powerful asset. This has been clearly apparent as we have launched formally as The Intertwine Alliance. The foundation that Mike Houck, Rex Burkholder and many others (some mentioned in Mike’s post) have laid over the years has been indispensable. As Thoreau wrote, we all “need the tonic of wildness.” Depending on where you live, that tonic can be the “wildness” in our backyard, even in the city. Thanks to the foresight and planning by Mike Houck, Portland Audubon, city planners, USFWS and countless others, back to good ol’ Olmsted – Portland still has wild areas to refresh the spirit, to play in and explore. We can learn from this well documented planning, how to apply lessons learned and how to help keep areas alive and from being all cold and concrete. I know that I learned a lot from Mike and this planning process when I worked with FWS in Portland. In my work there and other locations with FWS and with Audubon as a Together Green Fellow, I see the positive impact on adults and children from having nearby access to living, vibrant, green areas. The connection to other beings and the earth, that deep knowing that we are part of a greater whole and nature is worthy of conserving. A gift that only nature can uniquely impart. Following plans such as in “Wild in the City” and "Green Infrastructure" can help to keep us on the right track. Thanks for your tireless efforts and for documenting the process in Portland! Celebrate with a Blue Heron Ale :)Cheers! 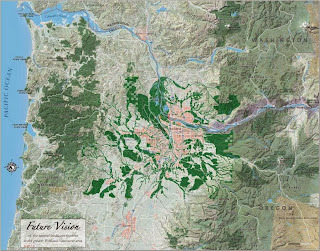 Thanks for this exhaustive summary of how Portland (and now the larger "intertwine" region) went about preserving and enhancing wildness within the city. I'm in absolute agreement that the preservation of green spaces, wildlands, and wildlife with our urban landscapes is essential, for many reasons, from human health, to the preservation of wild nature, and increased connections of city/urban residents to the larger, wilder world. I'm fortunate to live in a city with lots of parks, trails, and greenbelts. Though much of Anchorage, AK has been developed in a haphazard way with little or no planning, somehow we've managed to keep lots of wildness in our city. Thanks again for sharing Portland's wild successes, in a step-by-step manner. I look forward to the "living with urban wildlife" posting, since that is one of my personal interests. Bill--thanks for weighing in and sharing your story. FYI, Bob Sallinger and I will be joining some other folks around the country in a new "urban nature" blog that will be moderated by David Maddox of Sound Science, LLC in New York City. 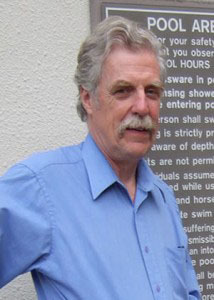 Dave, who facilitated the U. S. Forest Service's Vibrant Cities/Urban Forests project [http://issuu.com/vibrantcities/docs/vibrantcitiesreport] will be the moderator. If you are interested in a blog that will focus exclusively on urban nature you might want to contact Dave Maddox at david@sound-science.org and I'm sure he'd be happy to ensure you are put in the loop when the blog starts up in two to three months time. This is indeed fantastic and important history…and there is another success (another “lesson learned,” perhaps) that I wanted to celebrate. Over decades, Mike Houck and many others spent hundreds—probably thousands—of hours taking “ordinary” people into nature. Through these field trips (which grew over the years from just a few participants to scores), citizens were introduced, and ultimately assisted to fall in love with, the fabulous natural areas in the Portland metropolitan region. The “thick”, on the ground, connections thus forged between neighbors and nature made, I believe, a huge difference in making Portland a place with a wild-in-the-city ethos (and complemented the connections and “social capital” forged during the same period, among civic leaders). Lesson learned, I would submit? Get people out into nature…by any means necessary.